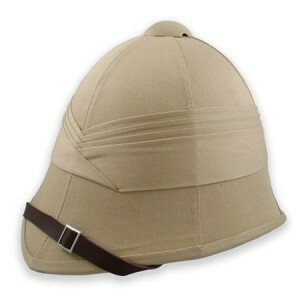 British Empire Pith Helmet – Khaki: Beauty! Let me start off by saying, I have a big head … I discovered, that the inner hat band is merely buttoned in, and if one decided to take the few minutes to unbutton it, one would find that the helmet fits the larger heads just fine, and quite comfortably, as the lining of the helmet is rather splendid. I will warn, for those with long hair, the the rivets will sometimes pull a bit upon removal of the helmet, but, proper fashion was never meant to be completely painless after all. All in all, this is exactly what I need for the “Explorer’s Club” at ConDorCon. As a man wearing ladies’ boots for the first time, I am both sympathetic to the demands of women’s fashion (! ), and very pleased by fit and relative comfort of these boots! The sizing was perfect (men’s size plus 1.5), and they are actually not difficult to walk in (for short distances). 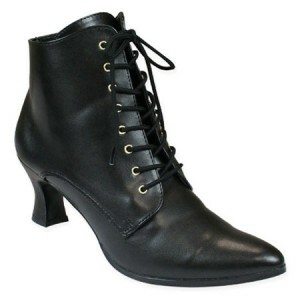 The heel has a good-sized cross-section and is quite stable. The faux leather is probably not as thick and as supportive as real leather would be, but then again the price was very reasonable and they look great! 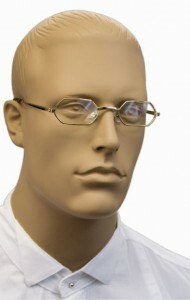 I bought the glasses at first because they looked good, then I found another and more important reason. This is a GREAT vest and fits perfectly. Always get a complement and or the envy stare. Looking for more styles like this in my size…. waiting to order. 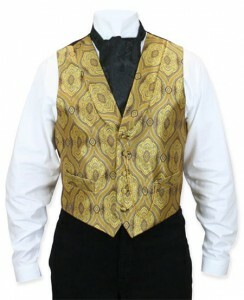 11th Vest I’ve Purchased! Once again Spot On! I wear Emporium Shirts And Vests on a Daily Basis for Work. Quality and Cut are Perfect! Puff Ties are added for Church and Restaurants! 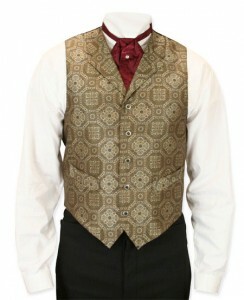 I ordered this vest to go with a Green Herringbone Waistcoat I bought.